These juicer recipes will help you create the best juicy concoctions ever! And it’s not just juice here…from nut butters to baby food discover how these can help you live an easier, healthier lifestyle. Even if you are a seasoned juicer, you always need good recipes. It’s the key to keep you juicing day after day. Sometimes we just can’t remember what produce goes good together. You can also use your juicer for other things like nut butters, baby foods, sorbets, and juice sodas! Our database of ideas will keep you going for a long time. Get good use out of that juicer of yours! I’ve got it all here for you…have fun! Fruit Juicer Recipes - Everyone loves a good glass of fruit juice. Let these sweet palate tempting pleasers feed you any time of day! Remember, fruits are always best consumed in the morning. Vegetable Juicer Recipes - Vegetables are super important to get into our diet, and the key to them are well balanced portions to make them palatable. Try these out for size. Green Juice Recipes - Green juicer recipes nourish our cells and help to alkalize our bodies. If you have decent recipes, they don’t taste as bad as you might think. Mean Green Recipe - These are the ingredients and recipe you'll need if you want to make the drink Joe Cross made in his documentary. Citrus Drinks - Who doesn’t love citrus every now and then? I have to tell you, its one of my favorites. Plain OJ any day of the week sounds good to me. A REAL V8 Juice Recipe- This is so incredibly close to the real deal, you'll never miss the preservative laden bottled version. My Favorites - Here are my favs...or really the ones I juice every day. Maybe you'll find these become your staple favorites too? Detoxifying Juice Combinations - These detox combinations will help your body to cleanse. Juice Fasting Drinks - If you're looking to juice fast, try these yummy juicer recipes that provide nutritious and cleansing properties. Holiday Juice Recipes - Do you embrace the holidays by decorating and cooking? 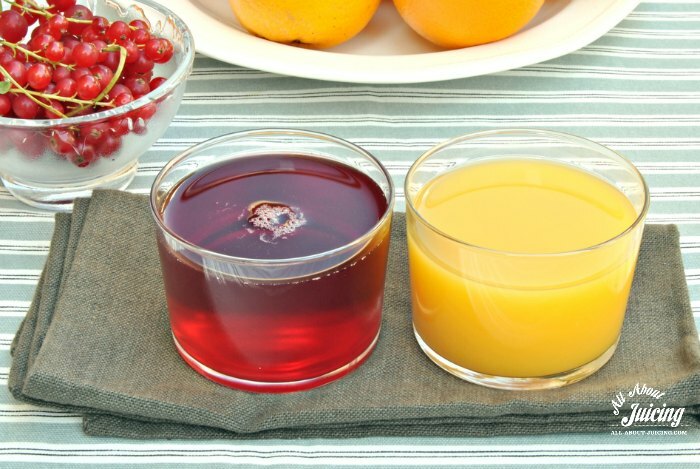 Try out these holiday themed juicer recipes to make your day more special. Juice Soda - Do you happen to like soda, or fizzy drinks? Here's how to make your own natural soda and a few recipes to get your started. Once you make these they will be a daily staple! Green Juice Recipes for Kids - Kids need thier greens too. Here's how to help them get it easily. Pomegranate Recipes - Love these ruby red seeds of joy? We've got the health benefits and recipes here. Sunrise Digestion Juice - This juice is great to calm an upset stomach. Juicing Recipes for Kids - The kids will love these. Orange Juice Recipes for Kids - The kids will love these, too. Carrot Juice Recipes - If you are looking to juice just carrots, this is for you! So sweet and versatile, it's the best. Juices for Weight Loss - A very popular page, use these to help your body get rid of some extra pounds. Orange Juice Recipes - Everyone's most favorite breakfast staple. But it's great a night, too. Pineapple Juice Recipes - Ooohhhh...Pineapple! Your tropical treat. Beet Juice Recipes - Clean your liver with these combinations! (really, they don't taste so bad). Kale Juice Recipes - We all know kale is the king of greens, right? When done right, they don't taste so bad as a liquid. Pumpkin Juices - Did you know you can juice pumpkin? You bet. Ingredient Substitutions - Don't have the ingredient you need? Our sub list can help. You don't have to use your juicer for just juice. Try using these recipes and ideas to use it in other ways. Juicer Pulp Uses & Ideas - Did you know that your juicer pulp can be used in many food items (plus more)? Here are some ideas for integrating them into your daily foods. Juicer Pulp Recipes For Main Meals, Starters & Desserts - If you need specific juicer pulp recipes, this page has a wide range of them for you. You really can put the leftover pulp into just about anything. All Juice Pulp Recipes - This is an extenstive list of all pulp recipes listed by type. Burgers, salsa, muffin and carrot. Wait till you see your options! Baby Food - Your gear juicer can make your little one the healthiest baby food. Here are instructions and recipes to make it easy for you. Nut Butters - Making your own nut butter is healthier, fresh and delish! Try it out for yourself. I also have some creative ideas for add in’s to make it super fun. Banana Ice Cream - Most gear juicers, especially the Champion, make the best banana ice cream! If you have a gear juicer, you must try out some of my special recipes for a dessert or snack. Great idea for the kids or to suppress that urge for a fatty dessert. Soup with your juicer - Learn how to make soup with your juicer! These can be modified to be made raw or cooked. Try them out for a healthy meal. Fruit sorbet with your juicer - Yes! If you have a certain type of juicer (the champion is really good at this) you can make sorbet. Blender Juices - For the blender, but "juicy" too. If you don't have a juicer, it doesn't necessary mean that you can't have juice. You can make a fiber filled pulpy type juice with your blender. What's your question or comment on juicing recipes? Good idea to dillute juice with water?